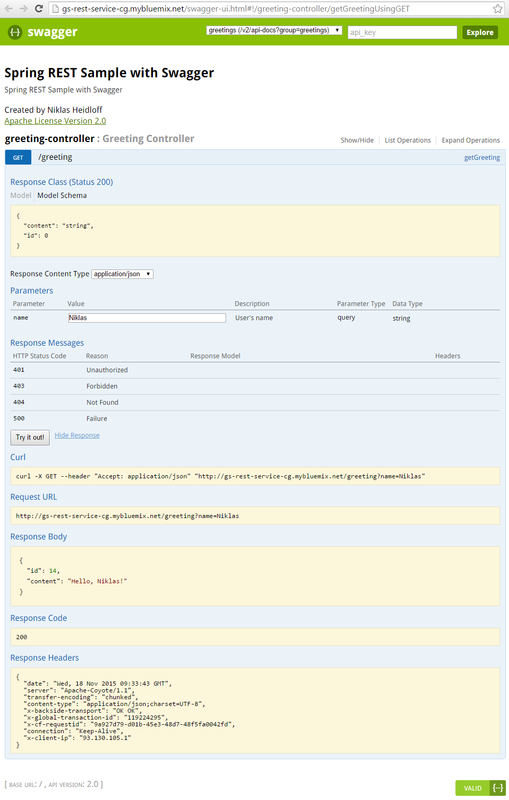 In the previous blog entry I described how to document REST APIs in Spring Boot applications via Swagger. 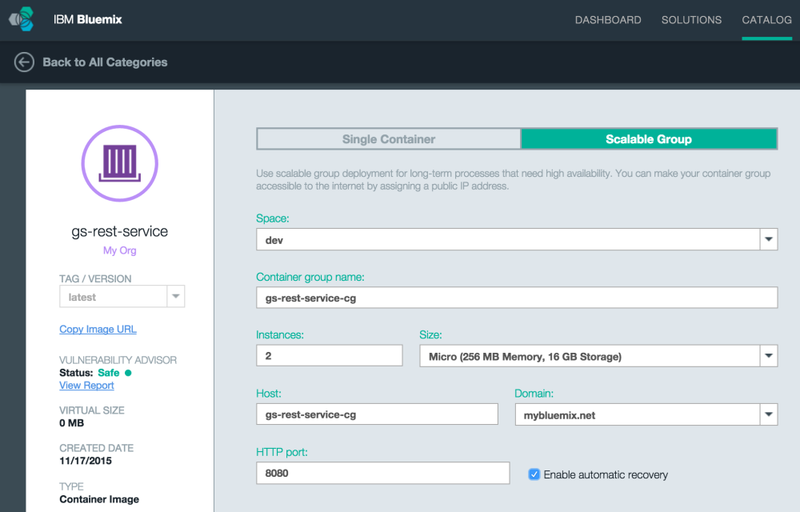 Below I explain how to deploy these applications as Docker containers to IBM Bluemix. As example I use again the Spring REST sample. In the Dockerfile (in the project root directory) define how to build the Docker image. From the root directory invoke the following commands. docker build -t gs-rest-service . Interesting. Sadly I was unable to link two containers together (MySQL DB container to a Spring boot app container) for some reason.